Ugh. I had a whole blog post written about 11 last night and it disappeared just as I went to hit print. Grrr. I was just too tired to re-create it. The good thing is, I realized it was too long and will split it into a few different posts. This is really a muslin. I don’t read German. I’ve gathered from some reviews online things I should have done. But, again. This is a muslin. It’ll all sort itself out. Sigrid has warned me that I won’t love the fit the first time around. I’m sewing the 70G in one of Summerset’s Hook and Wires kits. 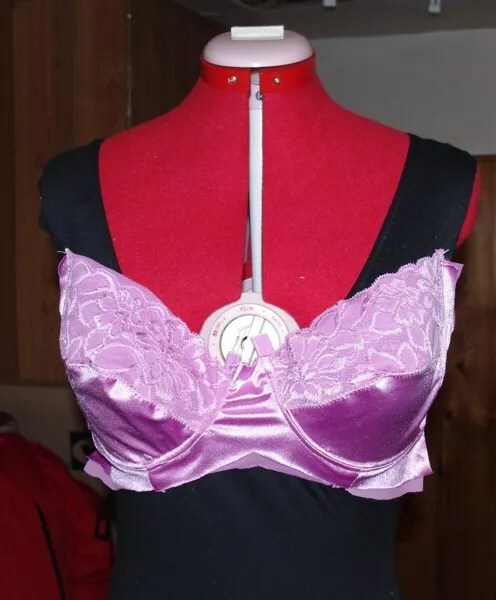 Hmmm, for some reason I thought I was sewing the F cup (I’m using the equivalent DDD underwire). But, when I just ran the European converter, I see that I should be making the G. Meh. I’ll figure it out when I’m done! I find converting European bra sizing like converting temperatures. I just cannot wrap my mind around Celsius. I just spend all my time when traveling converting the temperature. I should tell you about the time I tried to roast chicken at my parents’ house in Panama and I didn’t realize the temps were in Celsius. Not Fahrenheit. Oh. Well, I guess I just told you. Needless to say, it burned. I'm really annoying. I'm constantly on my Blackberry when working. Right. So, one of the reasons I was tired was working several evenings at a conference. Right after they left, we had / have an international tourism convention with an evening reception. Not that I’m complaining because it’s been fun. But, I’m just pooped. I was almost relieved when I didn’t get to go to the U2 stadium concert last night. Almost. 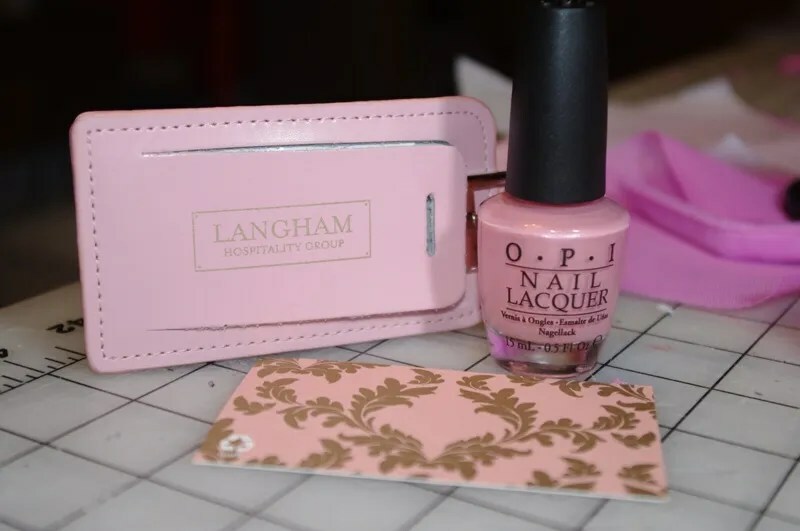 A great little gift I picked up at the convention is this Langham Pink OPI nail polish. Langham Hotels are known for their signature pink. You can only buy the polish at the hotel. Or beg their reps at meeting and business planner conventions to give you a bottle after explaining your affinity for both pink and nail polish. 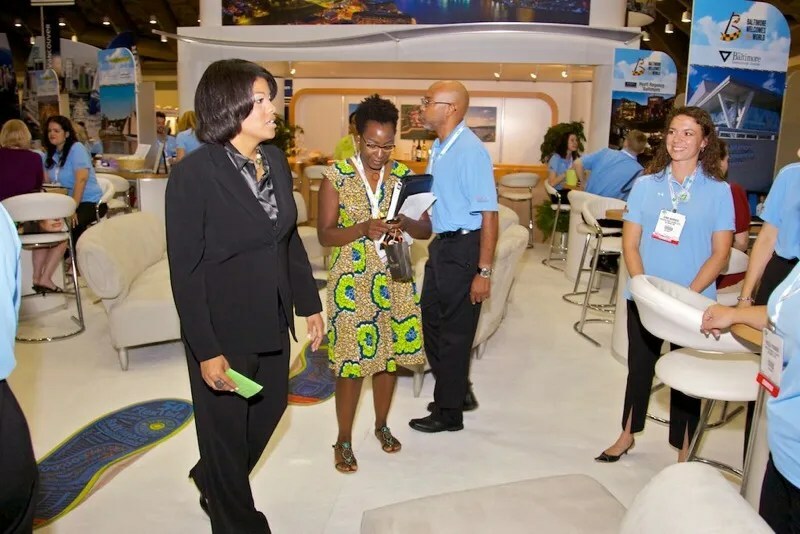 Such a great marketing tool!! You can see here how the polish matches their business cards and luggage tags. Previous Post No Sewing. Exciting New Pattern. Next Post Snoop Shopping My Inverted Pleat Skirt and Sewing Kits at Forever 21?? The bra is one very pretty muslin. Wow, that bra looks really spiffy! 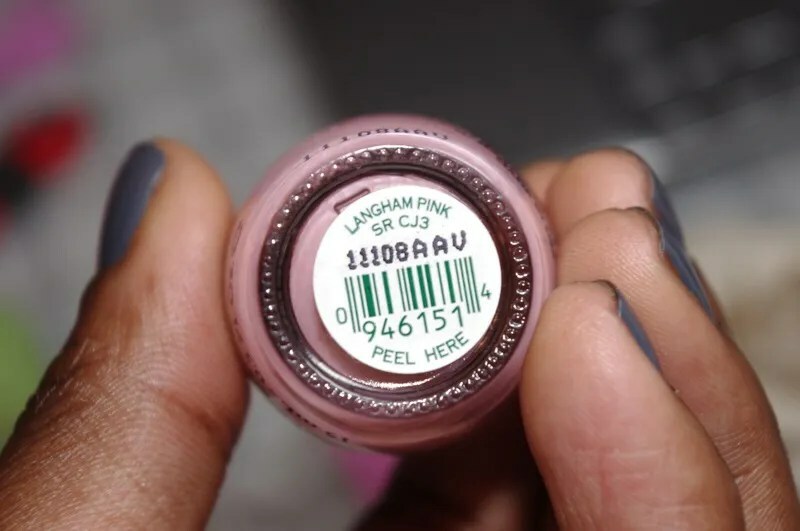 And I love the Langham pink nail polish . . . what a great promotional item from a hotel!!! Very pretty! Love the color. Here’s an easy way to convert Fahrenheit to Celsius. Take 75 degrees F minus 30 = 45 and divide that number by 2 = 22.5 degrees Celsius. It’s not quite correct but close enough. This works pretty well until you get to the freezing point. To convert Celsius into Fahrenheit do the opposite. 22.5 degrees times 2 = 45 plus 30 = 75 degrees Fahrenheit. I can’t wait to see what that color nail polish looks like on you. I’m your complexion (maybe a little darker). When I think about it though I won’t be able to wear it because I don’t think there is a Langham Hotel in my area. 😦 Is it already a part of your polish color collection that you have online? I wasn’t clear…I was referring to a link to an album where you had the names and pictures of all the nail polish colors you have tried. I remember reading one of your posts where you provided a link to the pictures. I’m actually concerned about how far apart they are. The one I have that fits well is about half that width. I’m so glad you’re sewing a bra. I’m taking a bra sewing hiatius for now but I’m taking a class in October. Your bra looks so pretty. I can’t wait to see how it turns out. Bra fitting is confusing enough without using different measures, and changing cup sizes! (not to say everyone should adopt ours) I magically went from a B to C cup by heading to the EU. Yes, making the center piece as firm as possible is essential to the whole engineering aspect of bras. A sturdy woven is probably the only thing that’s good enough. My favorite Wacoal even has criss-crossing piping there, and that’s the best I’ve ever had. As to upper cup power net, it’s not really a problem, it’s just makes it a pretty sports bra :-). It’s possible to flog oneself into length conversions. Temperatures are beyond the pale, nobody can do more than 2 calculations in their head, especially involving 32. What you need to do is -learn- a few landmarks. 0=freezing 10=cool (50) 20=pleasant (70) 30=hot (90) 40=hellish (100). And so on, with interpretation adjusted for your usual climate and your personal disposition. Then you can tell at a glance what a forecast means for you, without getting into tedious details. Impressive work on the bra, R.
Hi. I make my own bras and no two are every quite the same! Just one tip I could give you is with regard to the underwires. They make a HUGE difference to your fit. My first bra fit me nicely around the ribcage but the cups never sat quite right. I took out the underwires of a well fitting shop bought bra that had seen much better days and tried them in my hand made one – and guess what? It fit perfectly. I keep that one as a guide for future sewing reference and have drawn around the underwires and take that with me (or fax it) to the shope when I need more supplies. Keep at it, it’s a great sense of achievenent when you get it right! I admire people who make bras. Somehow I never find the time or inclination to do so myself. Oh that is such a gorgeous pink polish! It makes me think of an OPI color called “Hawaiian Orchid” which is the same hue but also has a faint lilac shimmer.